Marc Rancy is based in Paris, the world's fashion & luxury capital. What started as a hobby in a car garage with one sewing machine in the suburbs of Manila in 2008, Marc Rancy found his eponymous label creating exquisite dresses for the sophisticated and sensual women. With nothing but passion, talent and sheer dedication, he slowly gained strong following with Manila's elite and celebrities. Soon after, he had opened his first boutique in the commercial centre of Manila, and had gone on to participate in Philippine Fashion Week and his clothes have been seen in magazines and print. In 2010, he became one of the official brand partners of Swarovski Elements, also opening a boutique in the world's third-biggest shopping complex, SM Mall of Asia. 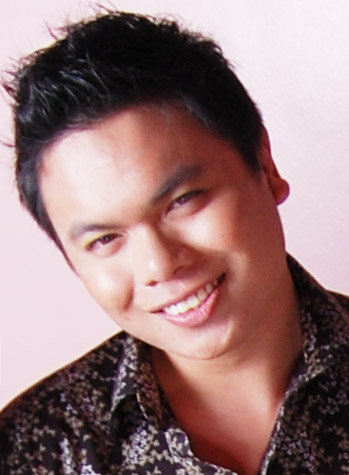 Since then, he had gone on to make collaborations with Mercedes Benz, MINI Philippines and Acacia Hotel Manila. Rancy took his design degree in Singapore's Raffles Design Institute and recently finished his dual-master of Fashion Management in Paris' IESEG School of Management and Istituto Marangoni Paris. Marc Rancy is currently residing in Paris while his highly skilled artisans work in his atelier in Manila. 2014 *Was commissioned to create capsule collections for luxury car brands Mercedes-Benz™ and MINI™ for the launching of the A-series and the new MINI™ Cooper S in the Philippine Market. *Awarded Best Collection from the Raffles Design Institute "Fuze" Graduation show among 14 design graduates. 2013 *Was commissioned by the Five-star hotel Acacia Manila to present an exclusive collection to celebrate the launch of their Grand Ballroom, holding over 200 guests. The show was featured in cable channels such as STARWorld™ and ETC, landed reviews in daily broadsheets like The Philippine STAR™ and The Daily Inquirer™. *Reigning Miss World™ Megan Young wore his dresses post coronation upon her arrival in her home country.